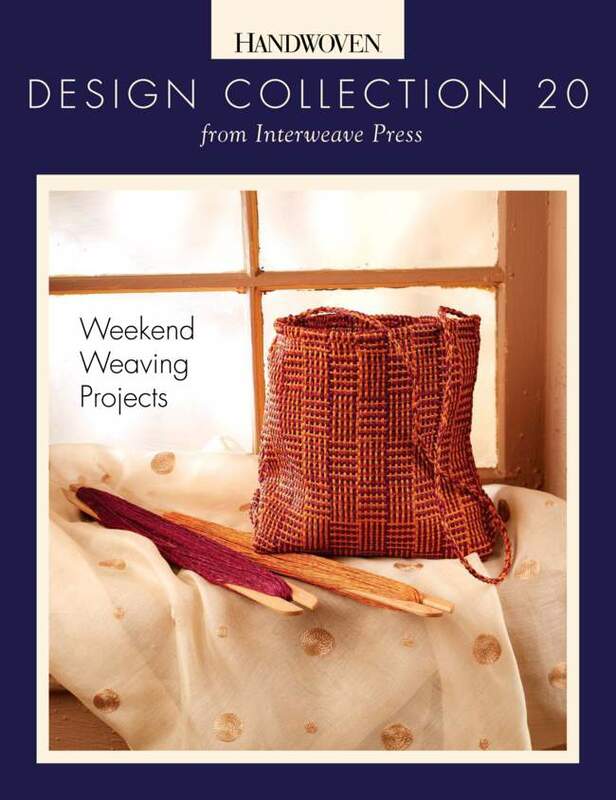 Design Collections from Interweave Press - Get free US Ground shipping on orders over $50 with the code "fseb2013". 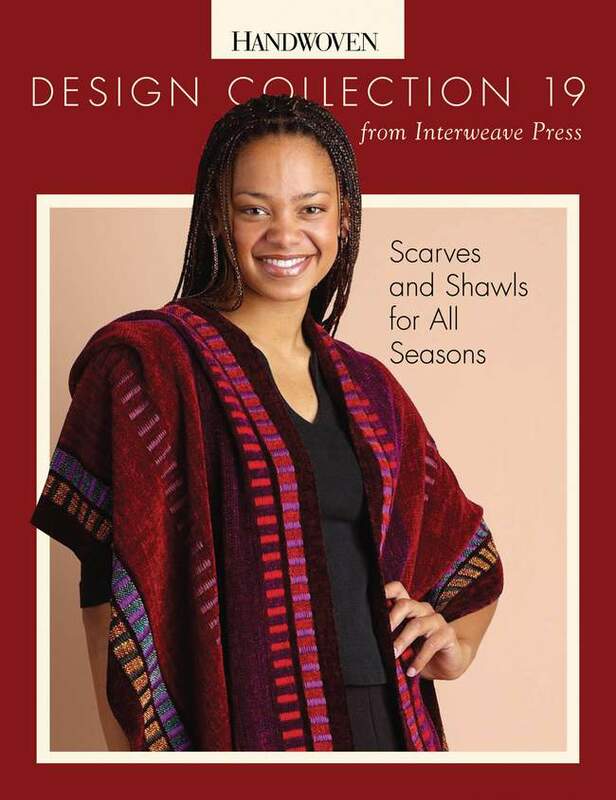 Because of many requests from customers, Halcyon Yarn has made arrangements with Interweave Press to offer this popular series "in actual print". These are printed on coated stock, saddle-stitched and identical to those previously offered as "Design Collections" from Interweave Press! Now available in print exclusively from Halcyon Yarn. 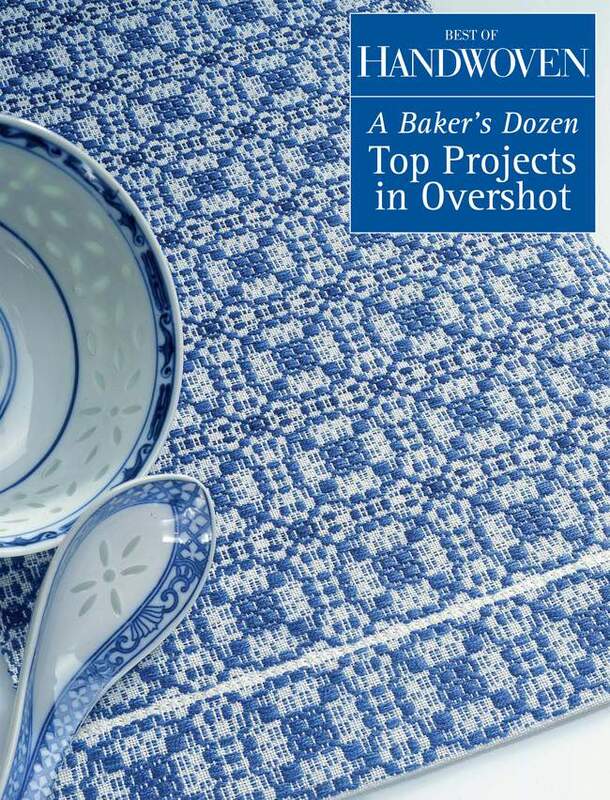 Thirteen Projects in Overshot. From tiny pincushions to a full-sized coverlet, you&apos;ll find fabulous overshot fabrics - all of them on only four shafts! 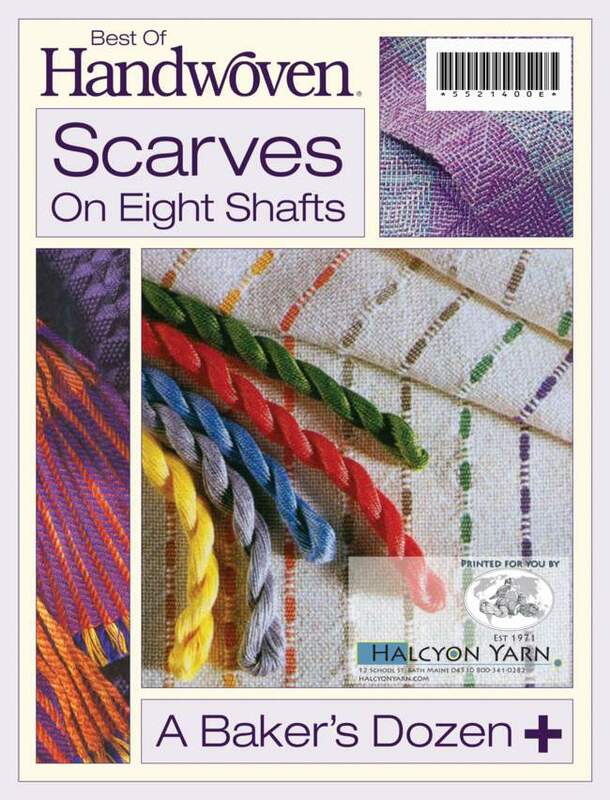 This ebook, and all of Halcyon Yarn&apos;s ebooks, are printed in full color on acid-free coated stock, saddle-stitched and ready for immediate browsing and convenient posting next to your loom. Now available in print exclusively from Halcyon Yarn. 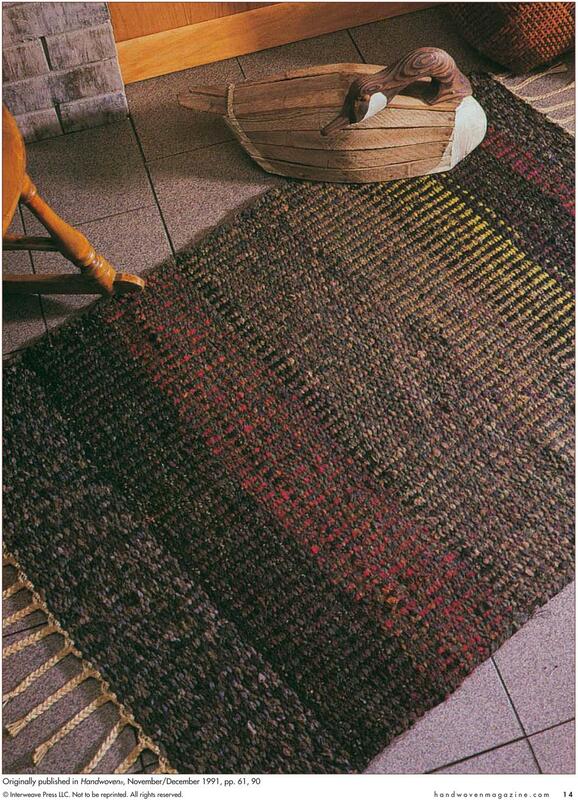 Collection of ten great projects from the first twenty years of Handwoven. 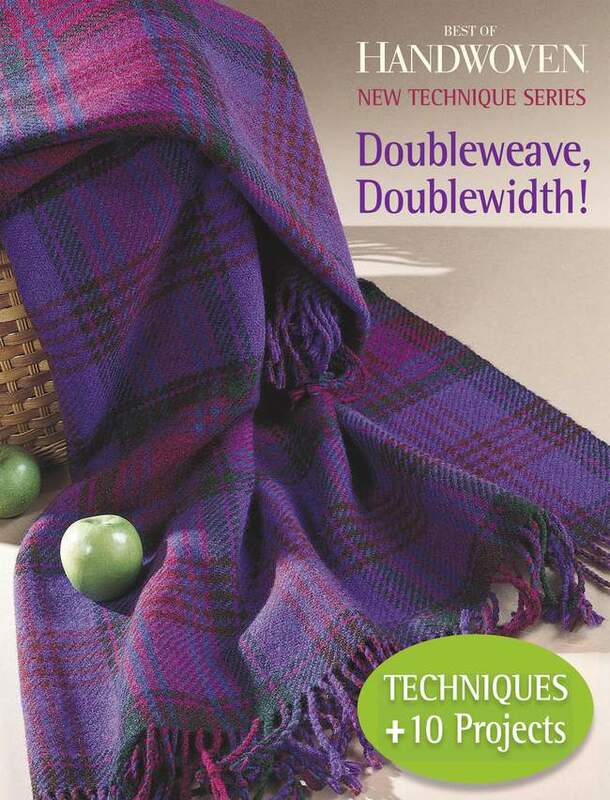 It also includes the theory you need to design your own fabrics twice as wide as the weaving width of your loom. Now available in print exclusively from Halcyon Yarn. 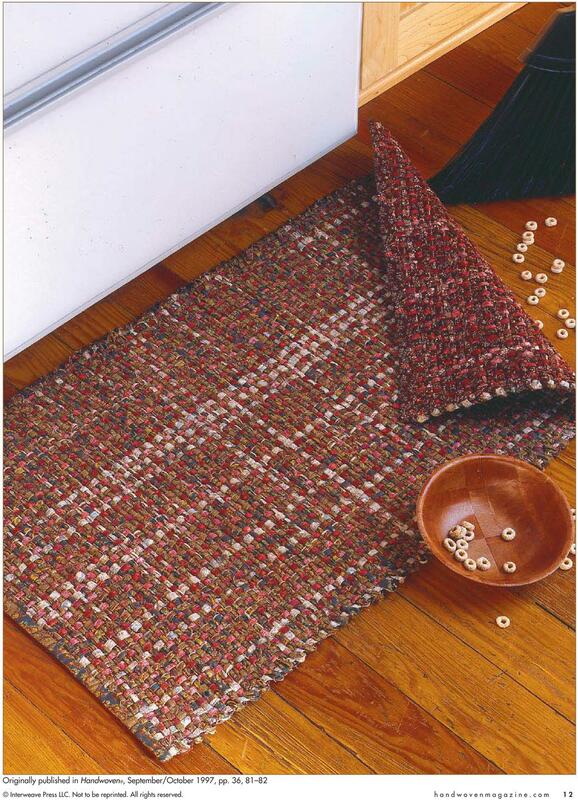 Beautiful, colorful, fun and easy to weave on an eight shaft loom, this placemat collection is also a compendium of multishaft pattern weaves. Doubleweave, diversified plain weave, every kind of lace weave, summer and winter, samitum, and more! 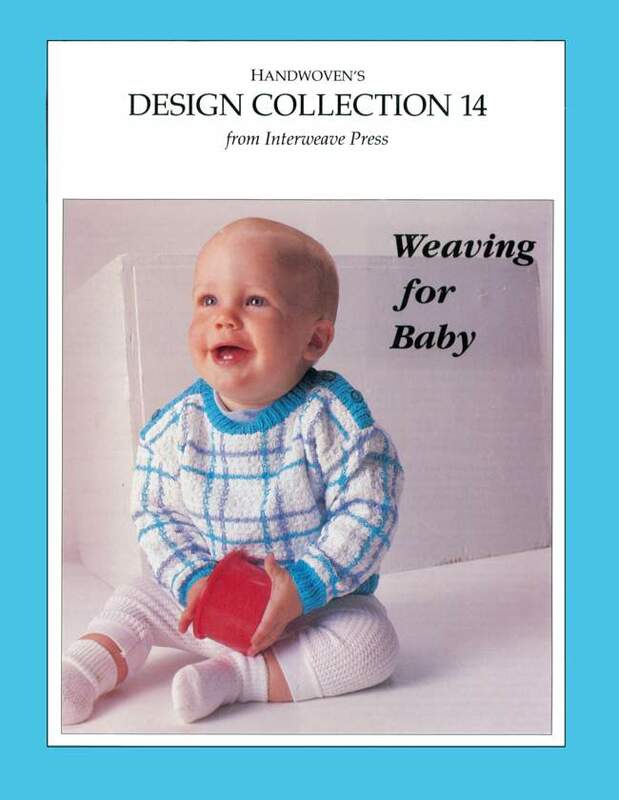 You&apos;ll love what you weave and what you learn from this book. Now available in print exclusively from Halcyon Yarn. 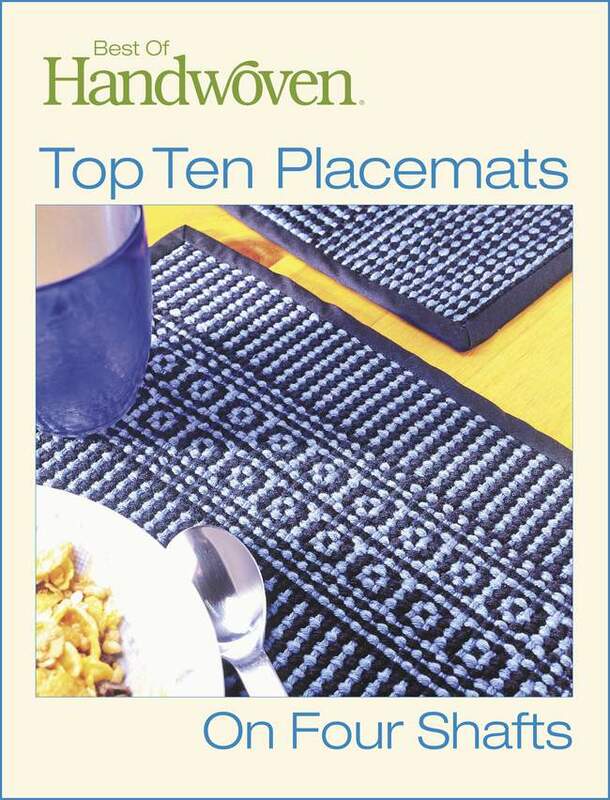 Weaving a set of placemats is almost a weaver&apos;s rite of passage. 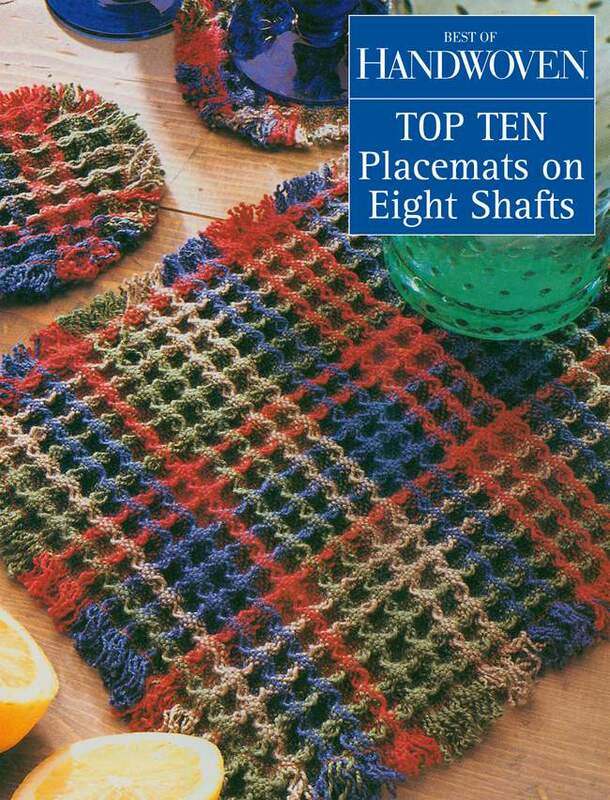 This collection includes the ten best placemat projects on four shafts (or fewer) from the first twenty years of Handwoven magazine. There are lace placemats, thick and sturdy placemats, placemats with rich textures, and even placemats inlaid with the design of a table setting. You&apos;ll find all project directions easy to follow - either for making exactly the placemats shown or for substituting different yarns or colors to match your dishware and decor. Now available in print exclusively from Halcyon Yarn. Using cloth strips instead of yarn opens a universe of color and texture options to weavers. 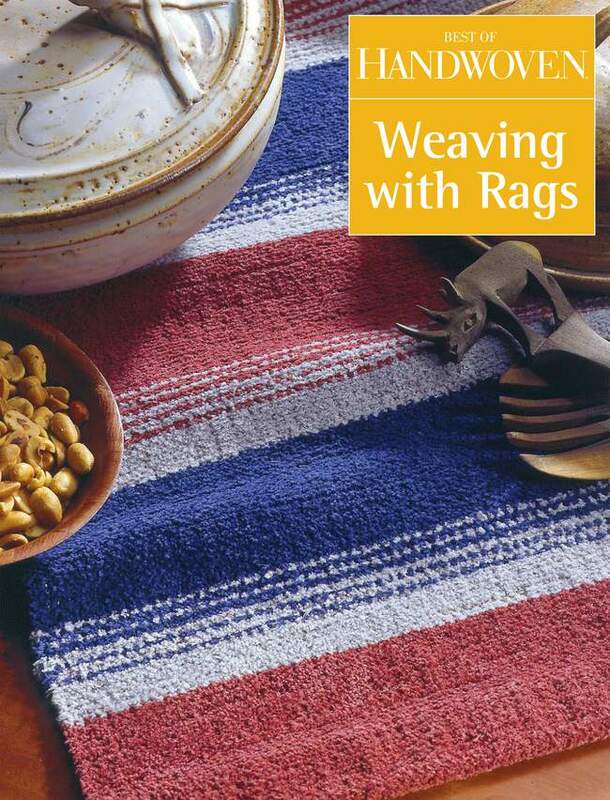 For rugs, table mats and runners, clothing, bags, and more, rag wefts (and even rag warps!) produce durable, colorful, and uniquely textured fabrics. 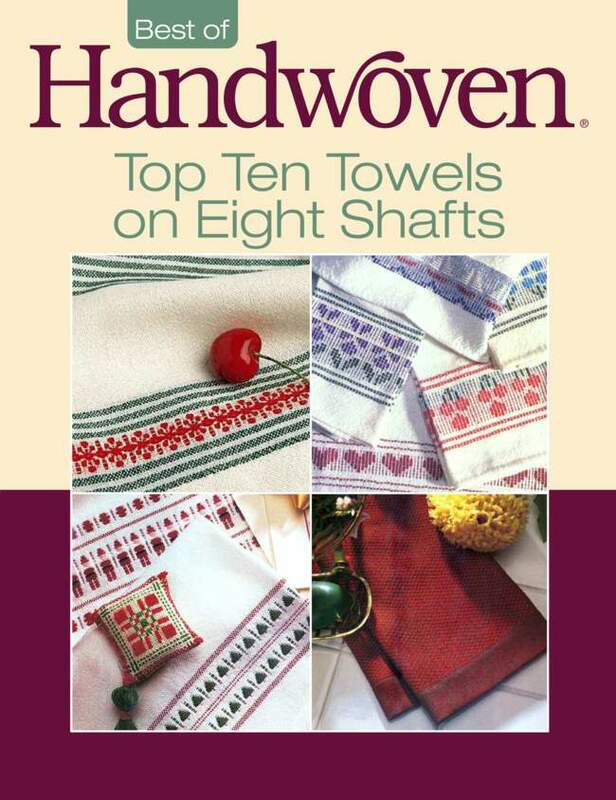 This collection includes ten Best of Handwoven projects - all on two or four shafts. Now available in print exclusively from Halcyon Yarn. 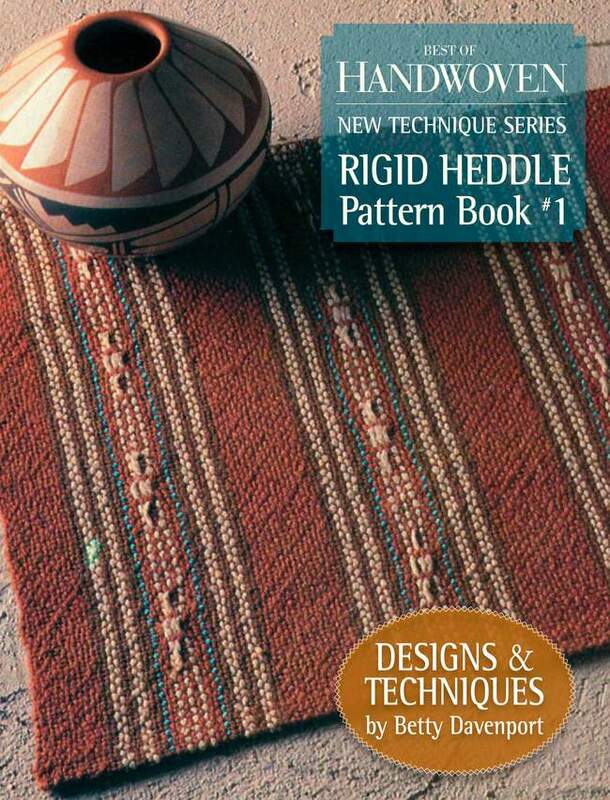 Rigid Heddle Pattern Book #1 is not only a book of projects, but it&apos;s a how-to for creating pattern beyond plain weave on the rigid heddle. Compiled completely of articles by rigid-heddle pioneer Betty Linn Davenport, book teaches you how to create ten different leno designs, borders with warp-float stripes, eyelash-pile fabrics, Bronson lace, petit-point with a supplementary weft, and other amazing techniques that look like they could only be woven on a shaft loom. You&apos;ll learn how to use multiple pick-up sticks, two rigid heddles, and more. Now available in print exclusively from Halcyon Yarn. Gathered from over twenty-five years, here are more than thirteen of Handwoven&apos;s most striking scarves - from dressy to casual - in turned twill, shadow weave, huck, collapse, and more. A vibrant sub theme of this collection is making the most of structure and color. Projects were inspired by rainbows, Monet, poppies and delphiniums, stormy seas, the deserts of the Southwest, and sunsets. Dream of spring and summer colors as you weave away on winter days. Now available in print exclusively from Halcyon Yarn. Gathered in one volume are thirteen great projects (and more than thirteen great scarves). Inside you will find an incredible diversity of pattern, color, and texture that you will not believe can be woven on only four shafts - or fewer! Now available in print exclusively from Halcyon Yarn. 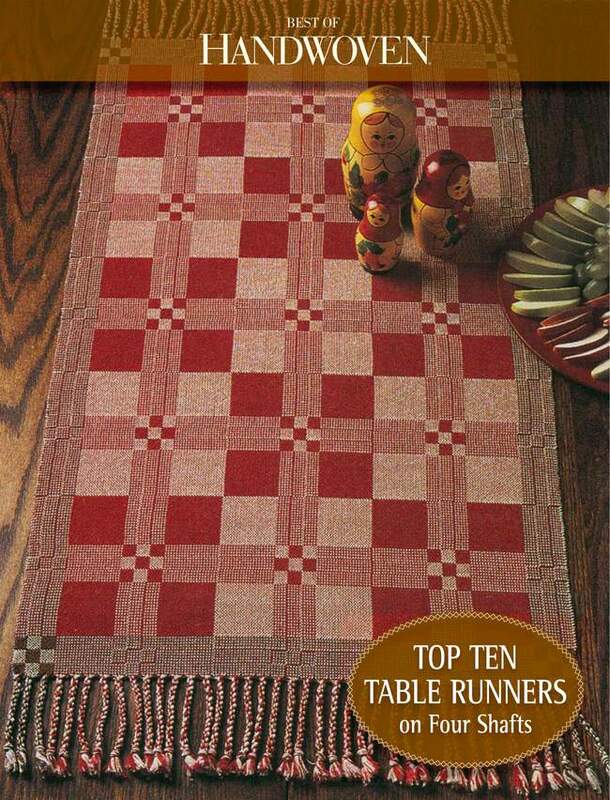 Table runners are favorite projects for weavers: they use almost any structure or pattern, are simple woven rectangles, require little finishing, can go almost anywhere in your house, and make great gifts. 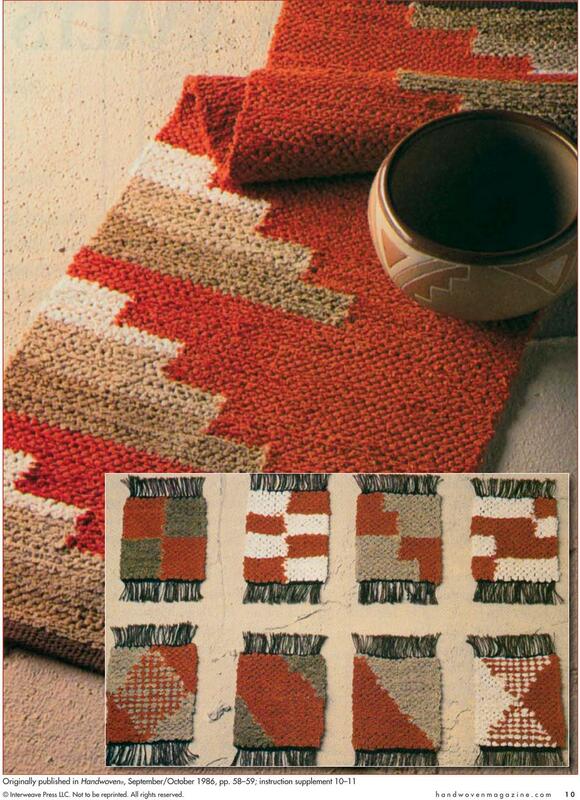 This collection from the first twenty years of Handwoven includes a wide range of structures, colors, and patterns--all stellar examples of each. There&apos;s a dramatic doubleweave/log cabin combination, a unique variation of M&apos;s and O&apos;s, Swedish lace, warp rep, overshot inlay, supplementary warp, and more--all on only four shafts. Now available in print exclusively from Halcyon Yarn. There are actually more than twenty towels in Top Ten Towels on Eight Shafts since several very different looking towels can be produced on the same threading in some of the projects. 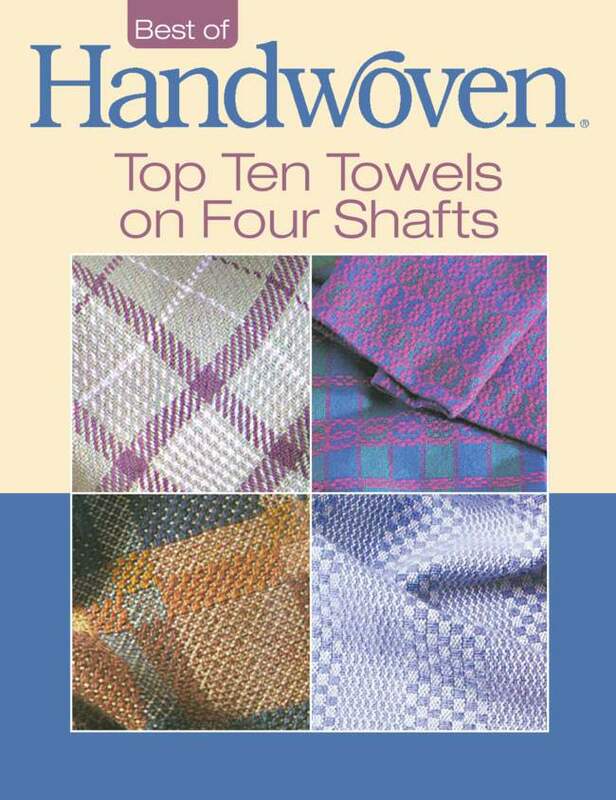 Not all of the towels require eight shafts; some use five or six. All of them, however, show the advantages in design and use of weave structure provided by more than four shafts. You can weave pictures, like the borders of sheep in Georgeann Curran&apos;s summer and winter towels, for example, or of Christmas trees and Santa Clauses in Kathy Bright&apos;s rosepath towels. 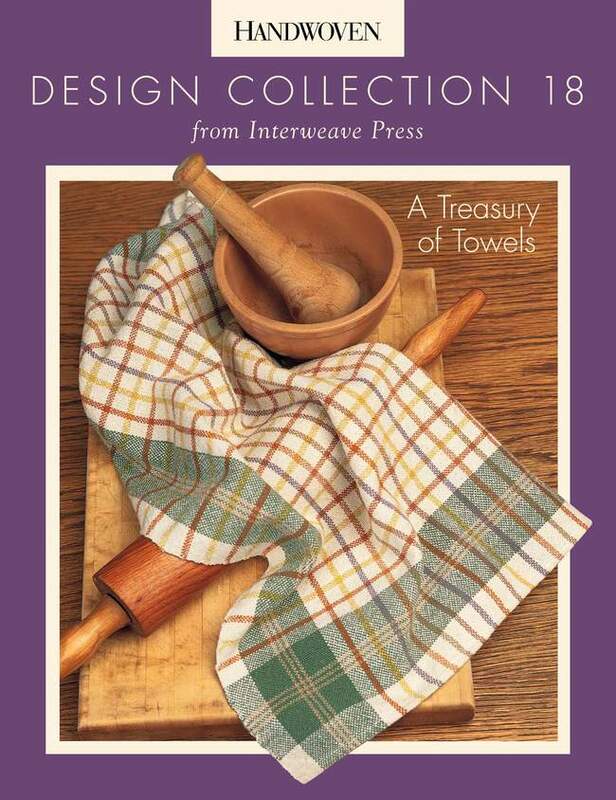 Or you can use Kathleen Farling&apos;s eight-shaft twill threading for eight completely different-looking twill towels. There are towels in traditional M&apos;s and O&apos;s, towels in variations of lace, towels in undulating twill. Now available in print exclusively from Halcyon Yarn. This first towel collection includes ten projects and covers the gamut of color and structure on four shafts. You&apos;ll find overshot, summer and winter, huck, basketweave, and several twills, in addition to plain weave. 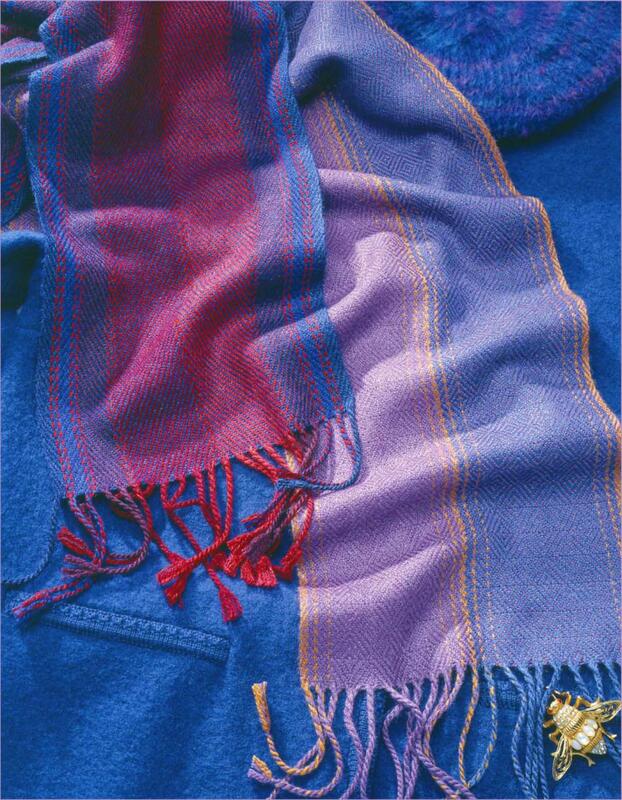 Towel types range from colorful and casual to dressy and elegant. Now available in print exclusively from Halcyon Yarn. 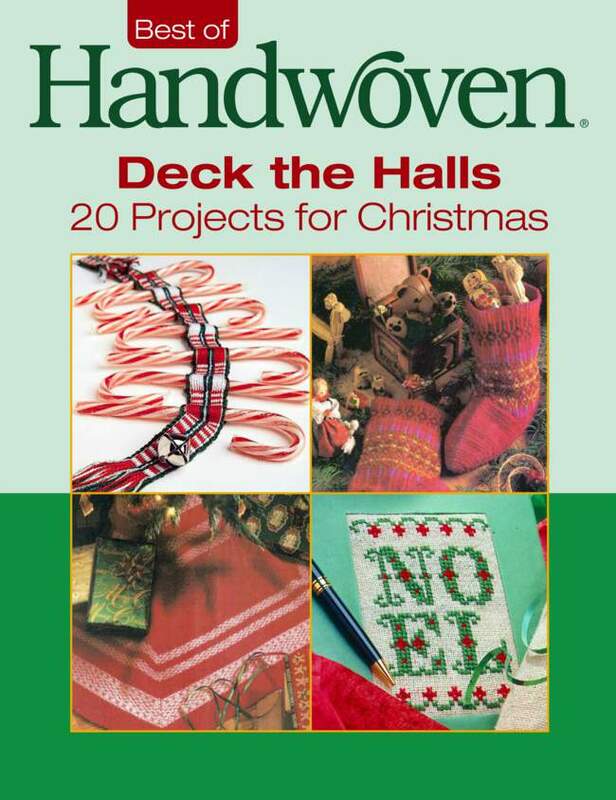 Deck the Halls features twenty great items to weave for the holiday season - to decorate your house, to delight your children, to give to your friends. There are ornaments and a skirt for your tree, runners for your tables, stockings to hang for Santa, an advent calendar with edibles, handwoven cards, and more. Now available in print exclusively from Halcyon Yarn. The usual fabulous inspiration in projects and photography. Searching for a great project to give or keep? Search no further. This treasury of designs will keep you busy for months. Let us suggest suitable yarns if you&apos;re in doubt. Now available in print exclusively from Halcyon Yarn. This collection includes 15 projects in glorious colors and intriguing weave structures. Using a wide range of materials from silky to soft, woolly to gossamer, dressy to practical, surely there will be a scarf or shawl that you will want to weave. Now available in print exclusively from Halcyon Yarn. The editors of Handwoven magazine have assembled some of their best designers to present a stunning design collection of quick projects you can start and finish in a weekend. From totes to tablecloths, these 15 projects are guaranteed to excite weavers of all abilities. You&apos;ll learn the tricks of designing simply and discover a wealth of design ideas. Now available in print exclusively from Halcyon Yarn. 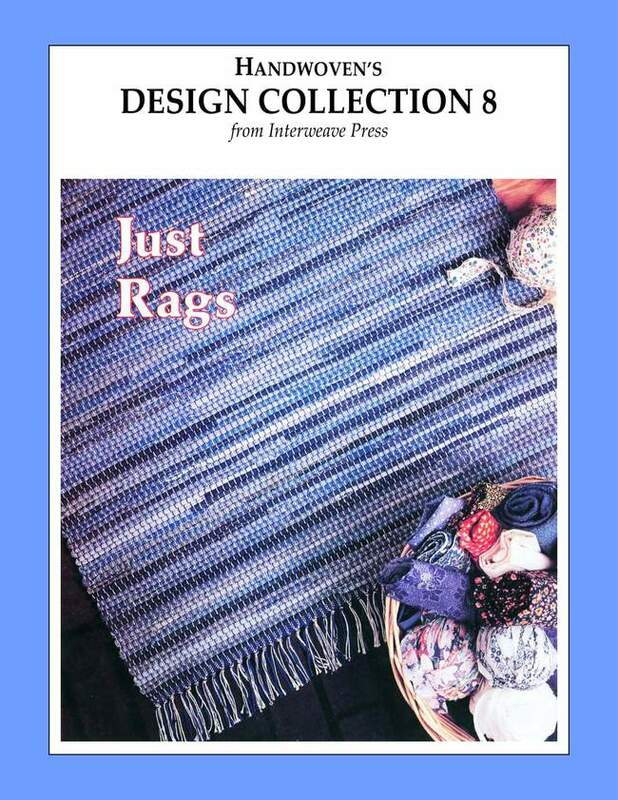 Just Rags, features 17 inventive projects from rugs to garments to weave with either recycled cloth or strips of commercial fabric. Now available in print exclusively from Halcyon Yarn. In honor of Handwoven’s thirtieth anniversary, readers were surveyed about their all-time favorites. This collection is the result. 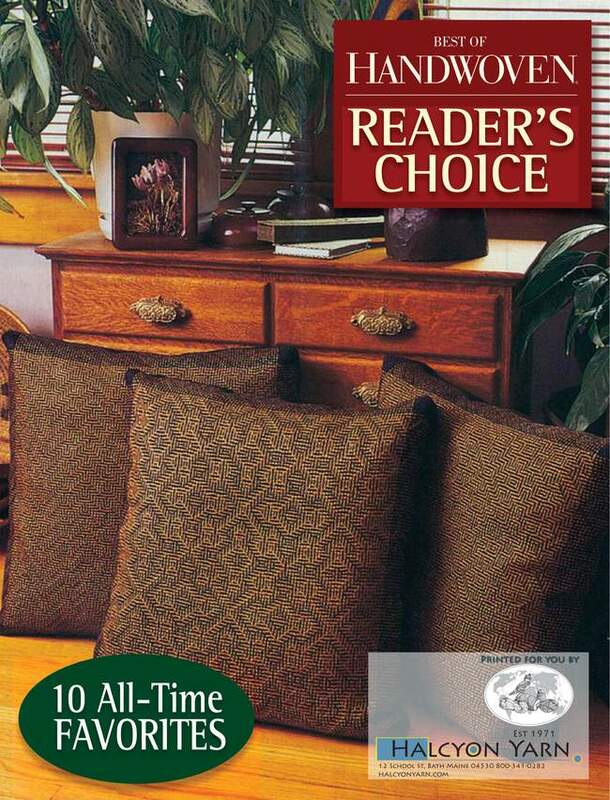 The survey indicated that you love household textiles best of all. A weaver could decorate an entire house with the projects presented here—curtains, towels, tablecloths, runners, pillows, seat cushions, throws, and even a colorful baby blanket! 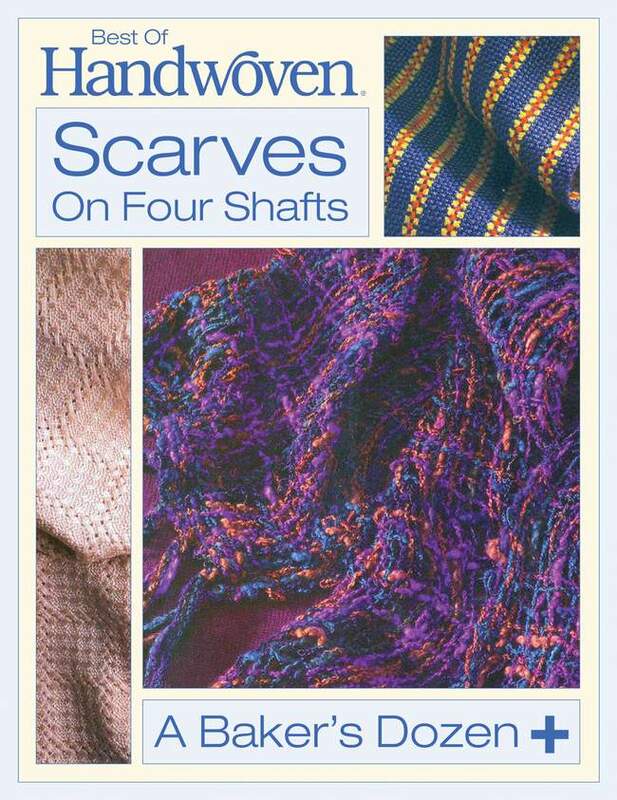 The one exception is a very clever article by Olive and Harry Linder giving four different ways to design a shaped shawl—including some unusual applications of doubleweave. This collection is rich in technique, too. You’ll learn to weave words in lace, use name-drafting for overshot, design tartan plaids, create treadling orders for shadow weave and huck, and more! From bibs and blankets to pillows, clothes, christening gowns, and toys, all babies (or parents of babies) would appreciate these 13 handcrafted gifts. 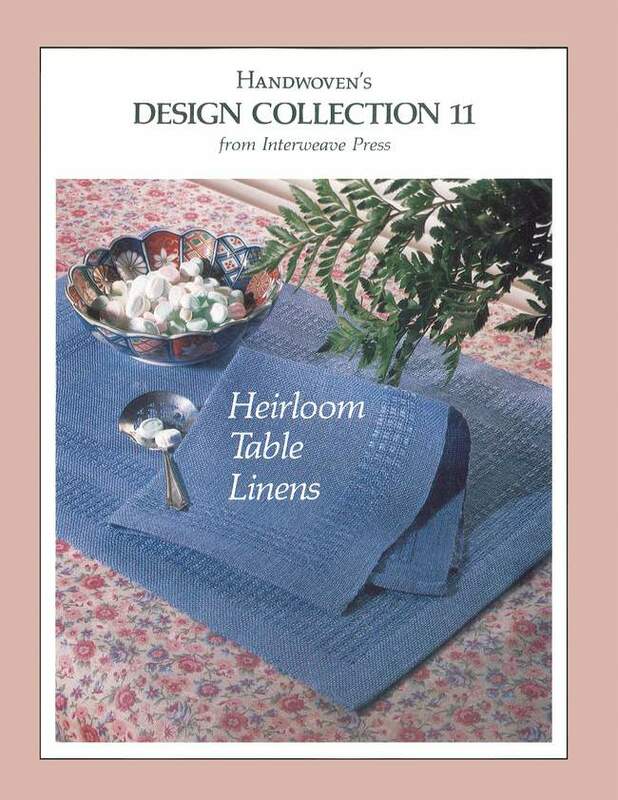 Long out of print and now available in print exclusively from Halcyon Yarn, this treasury of classic table linens will be a treasury of great ideas. Not all yarns suggested will be currently available as companies may have gone out of business but the friendly staff here at Halcyon Yarn can help you find great substitutes for any of the patterns. Many of the original Design Collections will become available over the next few months so be sure to watch for them.